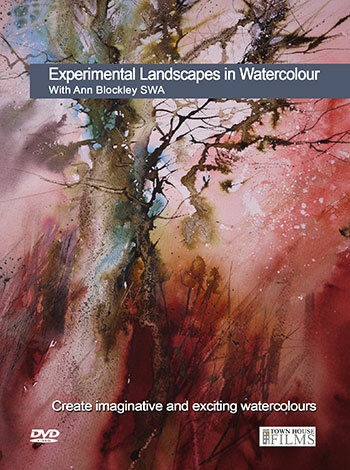 Create imaginative and exciting watercolour landscapes! Ann Blockley is a truly imaginative and exciting painter famed for her ravishing, colourful flower paintings. Now she tackles landscapes painted in the same thrilling style. There are four full demonstrations on this two-hour DVD filmed in her Cotswold studio. Ann Blockley is a renowned watercolour and mixed-media artist with an individual style developed over thirty years of professional painting. Her pictures are evocative, atmospheric and intuitive. Her longstanding passion has been for flowers and nature, inspired by the gardens and countryside close to her Cotswold studio. Ann has a worldwide reputation for flower painting but her landscapes and animals are also collector’s items. She has written seven books on her painting methods covering many subjects. In all her pictures, Ann uses painterly textures, marks and edge values, using watercolour in a loose and flowing style. She stretches the boundaries of the medium, sometimes working on a gesso surface to create unconventional textured images and sometimes reconstructing her work into intricate collages. She is continually exploring, experimenting and re-evaluating her work. 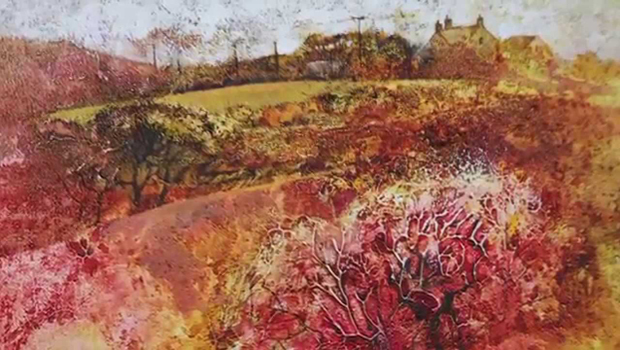 This theme is continued in her latest book and dvd, ‘Experimental Landscapes in Watercolour’ published by Batsford Books and Townhouse Films. Ann has established a reputation as an enthusiastic and inspiring teacher at workshops in the UK and abroad. Her work is exhibited in galleries throughout UK. She writes for the Artist magazine and is a member of the Society of Women artists. (SWA). Her father was the inspirational artist, John Blockley RI PPPS RWA. See more books and DVDs by Ann Blockley on the Jackson’s website. Click on the underlined link to go to the current offer on the Experimental Landscapes in Watercolour DVD on the Jackson’s Art Supplies website.